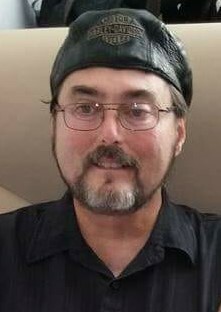 Ronald W. Row, Jr., 57, of Alsace Township, passed away Wednesday, April 11, 2018, of natural causes in Penn State Health- St. Joseph Medical Center, Bern Twp., with his family by his side. He was the husband of Vicki A. (nee’ Schoellkopf) Row, to whom he married August 30, 1980. Born August 7, 1960, in West Reading, he was a son of the late Ronald W. Row, Sr., and Ethel M. (nee’ Bean) Row-Dietrich, Reading. A 1979 graduate of Reading High School, he was the finishing room foreman and former Vice President for Temple Aluminum Foundry, Inc. He was a member of: Friedens United Church of Christ, Oley; BROS MC, Birdsboro, where he was President for many years; Evergreen Country Club (Heimatbund), Fleetwood, serving as Vice President; Auerhahn Schuhplattler Verein, Oley; a former member of the GTV Edelweiss, Reading; Reading and Lancaster Liederkranz; Teutonia Lodge # 367 F&AM; 32˚ Scottish Rite Mason, Valley of Reading. He was also heavily involved with the Boy Scouts of America as Assistant Scout Master in Troop #377, Stony Creek Mills, for over 10 years; a Brotherhood member in Kittatinny Lodge #5, Order of the Arrow, and a Wood Badge graduate. In addition to his wife and mother he is survived by his son, Ronald W. Row III, companion of Maegan Groff, Temple, and his daughter, Alissa A. Row, Laureldale. His grandchildren, Ronald W. Row IV, Abel S. W. Kline, and Laina E. Row; and a number of nieces and nephews also survive him. Other survivors include his brothers, Ricky W. Row, Shillington and Randy W. Row, Temple. He will also be greatly missed by all his extended family and friends. Funeral Services will be held Tuesday, April 17, 2018, at 10:30 AM in Friedens United Church of Christ, 337 Main St., Oley, PA 19547, with the Rev. Dr. Tyson L. Frey, officiating. Relatives and friends may call Monday, April 16, 2018 from 5:00 to 8:00 PM and Tuesday from 9:30 AM until time of service in the church. 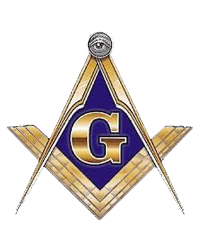 Masonic Services will be rendered by Teutonia Lodge #367 F&AM on Monday, at 8:00 PM. The funeral procession to Forest Hills Memorial Park, Reiffton, will depart the church on Tuesday, at 2:00 PM. In lieu of flowers, contributions may be made to the Evergreen Country Club (attn: Playground Fund), PO Box 332, Fleetwood, PA 19522.